Twitter can be fun. Twitter can be a time sink. But if you want to harness the traffic from this mega-site for your online business, Twitter must be a strategic part of your marketing arsenal. There are many little tips and tricks you can employ if growing traffic on Twitter is your goal. No one tip will likely change your Twitterverse – but put a bundle of these together, and you may be surprised at the difference. Add your signature branding hashtag to your business card. Many people find themselves unable to remember entire URLs – but single hashtags are another matter altogether. Use the “#FF” hashtag to give a shout-out to your favorite Twitter connections. This famous hashtag started in 2009, and went viral almost from the word “go”. Originally “#FollowFriday”, it became so well-known, it was shortened to “#FF”. Every Friday, be sure to have a short list of worthwhile tweeters prepared. Make sure they are relevant to your own followers. When you #FF someone, you are telling people that this person is a great person to follow. Many people just #FF an entire list of Twitter handles, one time only, remembering each tweet can only be 140 characters long. In the single tweet, the poster does a masterly job of telling the Twitterverse what #FilmFare is and why people who love Bollywood movies should followthis hashtag – in five succinct words. A little originality in tweets can cause a flurry of click throughs. People are used to long lists of names to follow: They are not used to something like the #FF tweet below! Throw a Twitter Party. This has become an accepted part of Twitter culture, and is welcomed with enthusiasm. 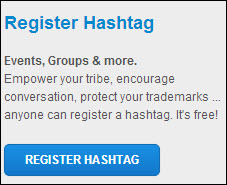 If you have created an event, create a unique hashtag for it and tell your participants to start using it. Be sure to follow through, however: Nothing makes you look more irresponsible than forgetting to keep the flow of promotion going for your Twitter Party – or, worse, forgetting to tell them it’s cancelled or the date and time has been changed. Register your Twitter Party Hashtag at Hashtags.org. This will boost its effectiveness. Make your tweet visual, if your business is visual. Photographers, illustrators, web designers, picture book creators – this means you! Of course, you can’t do this all the time – but do look for opportunities to do so. Know your specific goal for engaging on Twitter. Then stick to it with your tweet topics and focus. If you’re there for the branding, focus all your tweets (and your own Follows) towards that end. And while you’re at it, actively grow your Twitter community. Once you’re well-branded, you want to keep the ball rolling and your tweets going viral. Use Twitter’s geo-targeting abilities. 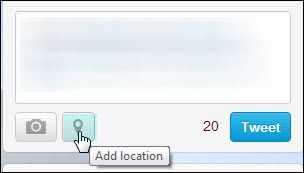 When composing a tweet, you can instantly add your location, if it is relevant to your tweet topic, followers or business. If you want to tract tweets about a specific geographical location, check out Monitter.com. If you can’t find the right topics or hashtags, use Twitter Search, a dedicated interface that also happens to show the latest trending hashtags. But it’s biggest advantage? It allows you to filter your searches with advanced settings advanced settings. Put your most important words or facts first. People’s attention spans have grown so fleeting in this decade that they will even look away after the first five or six words, if you haven’t grabbed them with your tweet. Thank people who tweet about you or retweet your tweets – especially for Follow Friday (it’s part of the culture). People like to be acknowledged and noticed, and thanking them by Twitter handle for a retweet or recommendation is the perfect way to do it. Make a habit of joining as many relevant Tweet Chats as you can. If you pick one your business really fits, you can make great new contacts through the sense of instant closed community. Tweet current events that are in the process of happening – but do your best to keep these relevant to your followers and your niche. Be culturally aware, when using jargon or colloquial speech. You may not be saying what you think you’re saying, if your followers are from other cultures or countries. Pre-schedule tweets wisely – Remember that you won’t be there to respond. It’s always best to wait around for at least ten to twenty minutes for interaction before logging out. If you do have to pre-schedule, do it with social media managers such as HootSuite or TweetDeck; or with other social networks with a pre-scheduling function, such as StumbleUpon, if you want to share web links at a time other than the present. Focus on your followers. Tweet material you think they will find interesting – and that’s a good policy whether or not your tweets are personal or niche-oriented. Including the odd personal tweet is good, because it makes you interesting and human… as long as it’s something your audience can relate to or feel connection over. Ask people to follow you on Twitter – Install targeted Twitter buttons in blog posts, guest posts, other social media sites and profiles; and on your website.